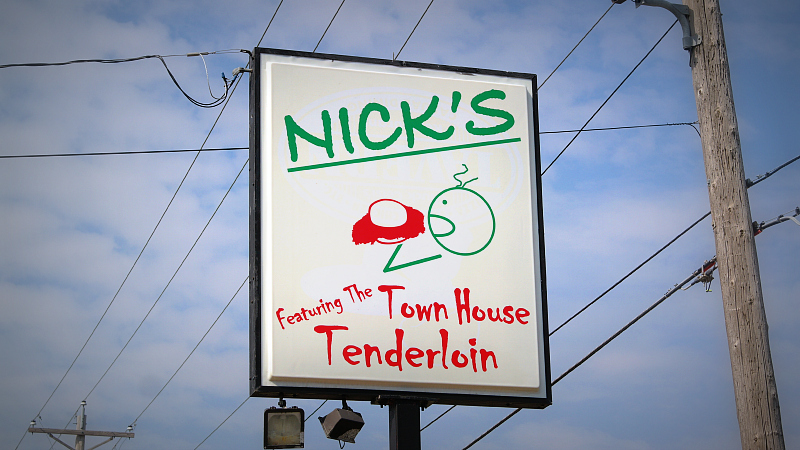 Nick's Tenderloins, or Townhouse Tenderloins, has been going by some different names. I don't always know the relationship to the original Townhouse Supper Club in Wellsburg, which I visited several years ago. The mobile unit was parked on Army Post Road a few years ago, in front of a Pawn Shop. It has been spotted at race tracks across Central Iowa since then. There have also been Townhouse Tenderloins location opened in Cedar Falls which I have never visited. Nicks opened on Southwest 9th St a couple years ago as Nick's Restaurant "featuring the Townhouse Tenderloin and Italian Beef". The move to Army Post has taken them to the former Tavern Pizza location. Location: 1106 Army Post Road in Des Moines, Iowa. Directions: Its on the south side of the road that is like the south side of Des Moines. 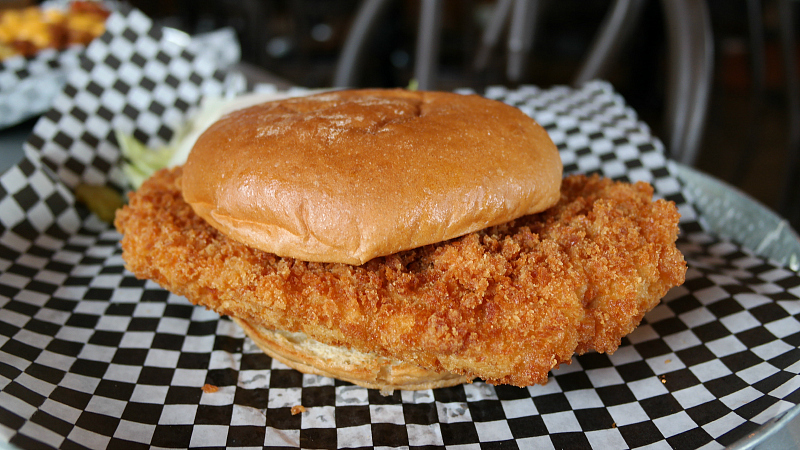 The Tenderloin: Every place serving a Townhouse Tenderloin is giving you basically the thickest tenderloin in Iowa. I can't think of a thicker one, its tenderized white pork loin meat kept in a very thick shape. The meat is steamy and moist but not juicy. 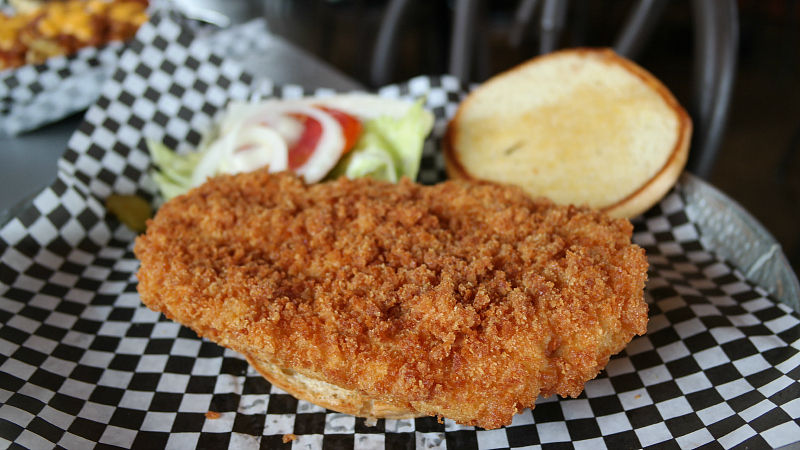 The breading is another thick layer of heavy crunch, it gets applied a little too thick in some places. Served on a warm, lightly toasted and very soft bun. Overall 8.9 out of ten. Price: $7.25 for the King size, also available topped with ham and cheese, chili and cheese, or even in an eating challenge. Also on the Menu: The tenderloins are the star, but there are appetizers, Italian Beef sandwiches, and pizza. 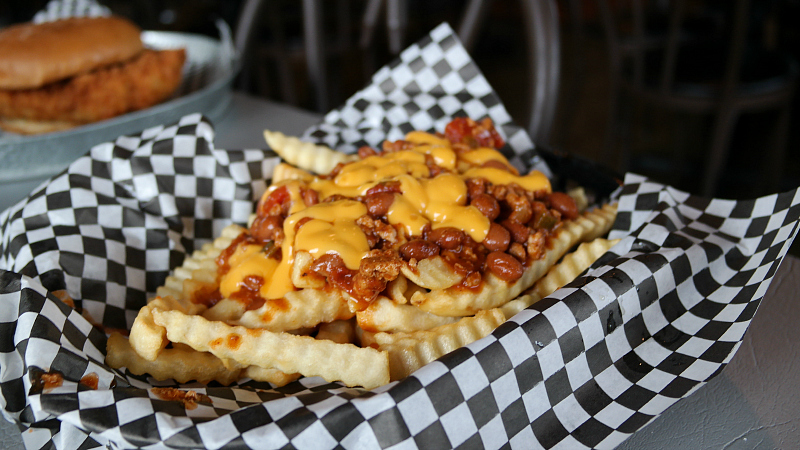 Chili Cheese Fries: These were just accordion fries topped with a bean chili and cheese sauce, nothing to write home about. 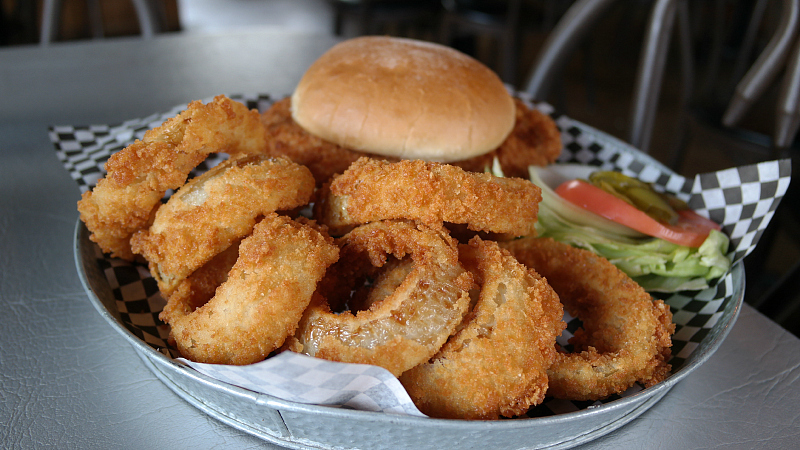 Onion Rings: These were cut thick and breaded in the same crunchy stuff as the tenderloin, tons of onion juice packed into each one. Great portion size and value. Service: The older location had a counter, but this place has table service. There is also a tap serving beer. 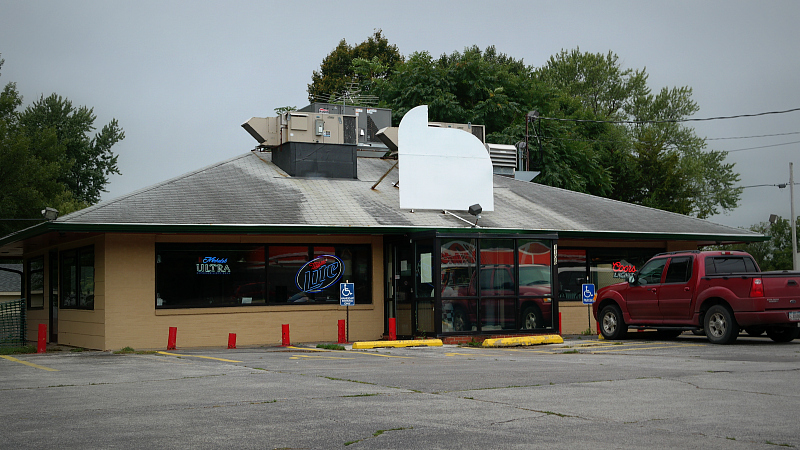 Ambiance: This building was a dated family pizza place for a long time. The renovation has kept some of the dated fixtures but added beer bucket light fixtures and those tin antique-looking signs that aren't really antiques. The blank sign is still on the outside of the building, and the whole place just has a half finished feel to it. I would describe the graphics, signage, and font as unconventional. Final Thoughts: I had put off getting to the new location for so long because the other Townhouse Tenderloin vendors outside of Wellsburg had opened and closed or didn't seem worth visiting. The new location is big, with tons of seating and a huge parking lot. This is a good addition to an area with only so many good places to eat.